Here’s a guest post by Wes Nicol, COO of Deako Smart Lighting. Check out his article on Smart Home Lighting Trends. If you’re not a die-hard techie, choosing smart home technology can be daunting. You want a product that has the features you’re interested in and a price that’s reasonable, but that shouldn’t be all you consider. There’s a lot of value in a system that lasts for years to come. Remember, tech moves pretty fast. Considering we’re on the 10th iteration on the iPhone, most of you probably already know this, but smart home tech isn’t quite as second-nature as a smartphone. Often smart home tech is wired into your home, making it harder to upgrade or replace with a brand new system. The last thing you want is to purchase a fancy system only to have it drop in performance a few years later and then become obsolete. For each device you’re interested in, whether it be a smart light or a smart thermostat, make sure you fully understand the device’s life expectancy. Check to see if it can receive software updates so you don’t get stuck with years-old software down the line. Some tech, like a smart thermostat, gets installed in one place never to be moved again. And that’s fine because you may only have one or two thermostats in your home and their location probably doesn’t matter. However, when it comes to smart lighting, placement is everything. Most smart lighting solutions are hardwired in, meaning once a smart switch is installed – that’s it, it cannot be moved around. So if you put a smart switch in your bedroom, but discover you really think it would be more useful in the kitchen, you’re out of luck. This is a flaw in the traditional model of home lighting. The whole point of smart home technology is to get the most out of it for your home so an inflexible model like that no longer works. A solution to this problem is Deako’s modular smart lighting system. Deako’s backplate wires in just as any other switch would, but with Deako the switch is separate from the backplate. This means switches can be removed and moved around at any time without the need to call an electrician or turn off the power. Another great reason to consider the longevity of smart home tech is the value it could add to your home if you’d ever like to sell it. A 2016 survey found 65 percent of respondents would pay more for a home with smart technology inside. And as sustainability becomes increasingly important to homeowners, who want to contribute to the effort both within their home and beyond, smart tech allows for greater cost savings and energy efficiency. The Deako system is beyond easy to use. Set the lighting for an entire room or home with a single touch or voice command using your smartphone! 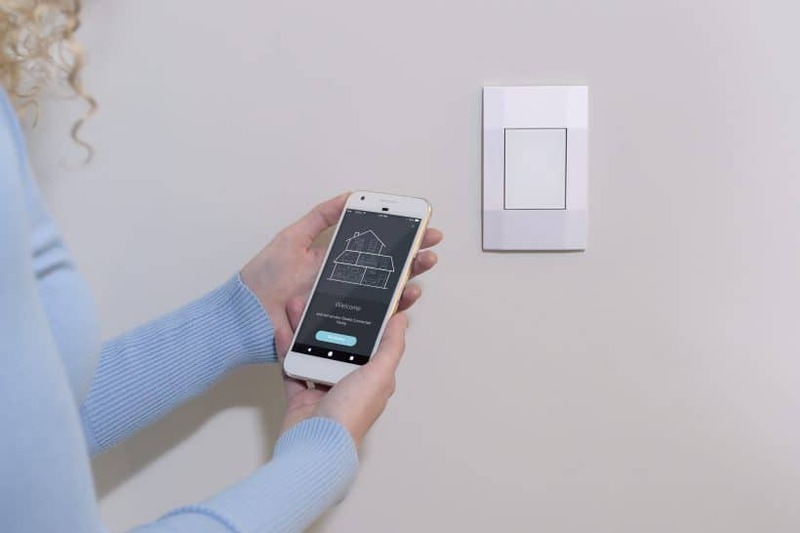 Program or control your lights within 100 feet of any switch over Bluetooth Mesh. Add the Deako Connect to access your system from anywhere in the world. You can find out more about Deako’s mobile app here !